Whether your business is a retailer or strictly B2B, generating good leads can help your company reach its goals by providing a way to engage and interact with prospective customers in the future. 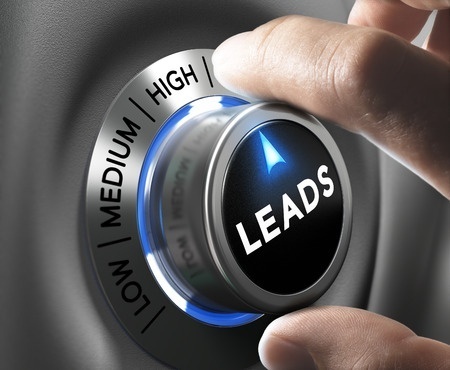 Using web strategies, generating leads is now easier than ever. Here are some tips to help in your lead-generation efforts. Your audience needs to understand why they should give you their contact information. Certainly, your website details your company’s benefits, but to generate leads, you have to convince visitors that they want to hear from your company again. If you are a consumer brand, consider offering a discount to those who sign up for emails. A B2B company might offer a consultation or exclusive content, such as an e-book or digital toolkit. Once you determine what incentive you want to offer your audience, think about how you’ll drive them to your offer. The key to finding qualified leads is targeting the right people. For consumer companies, you might create targeted Twitter and blogger outreach campaigns to help drive leads. For B2B, a targeted LinkedIn campaign could support your lead generation efforts. As your list of leads grows, have processes and standards for how you will use it. The process should include frequency. You don’t want your list to go unattended, but you shouldn’t annoy your audience. Frequency is dependent on industry and intended action. Your list of leads should not be a free-for-all. Marketing and sales teams should coordinate closely to determine who is responsible for follow-up and what that follow-up looks like. Want more tools to help grow your business? Sign-up for Axia Public Relations’ 60-Second Impact today. Julie Miller is a marketing and communications professional, working for more than seven years in the industry. She primarily works in the technology and education sectors and specializes in digital marketing and communications. Julie has worked with Axia since November 2015. Connect with Axia on Twitter @axiapr or tell us what you think in the comments below.